We hope you’re as excited as we are by the announcement of the second part of our epic fantasy trilogy! We’re setting out to make the most incredible and massive strategy game we can, and we hope you’ll join us for the journey. There’s a way to go before release yet, and you’ll have loads of questions, but don’t worry, we have loads to tell you and rest-assured we will tell you everything before we release. And as with previous games, the press, youtubers and members of the community will all have access to the game before launch to give you their impressions too. We will let you know which games shows we are at this summer and we will make sure reviews will hit before release again. Here’s a short Q&A to answer what we expect will be the most common immediate questions, let us know if you have any more and we will get to them all in due course. What is Total War: WARHAMMER II? 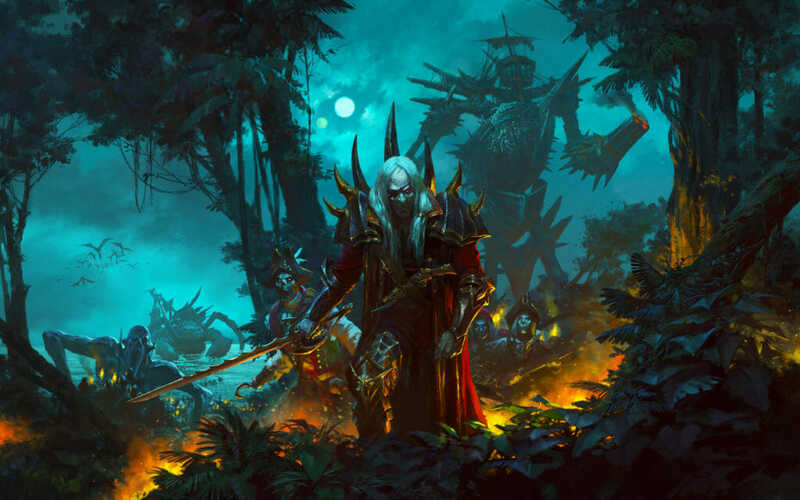 The second in the trilogy and sequel to the award-winning Total War: WARHAMMER, Total War: WARHAMMER II brings players a breath-taking new narrative campaign, set across the vast continents of Lustria, Ulthuan, Naggaroth and the Southlands. The Great Vortex Campaign builds pace to culminate in a definitive and climactic endgame, an experience unlike any other Total War title to date. How many Races/Lords can we expect? There are four playable races each with two Legendary lords, for a total of 8 individual start positions. 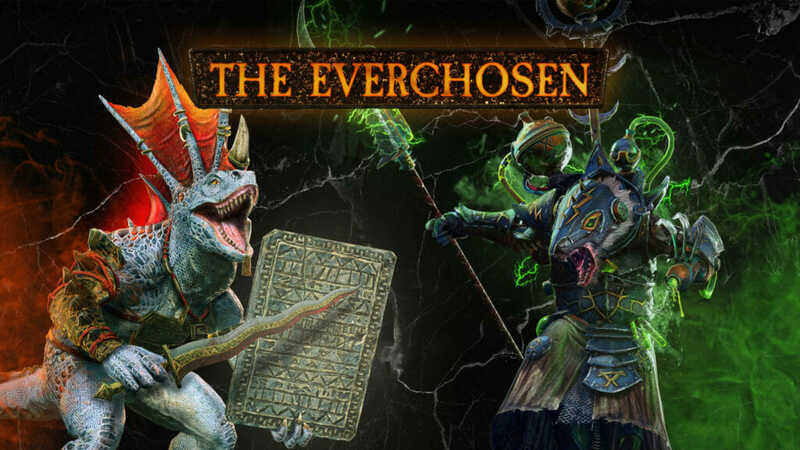 High Elves, Dark Elves, Lizardmen and a fourth race, yet to be revealed, will all feature. What’s with the Vortex in the announcement trailer? The Great Vortex is a vast magical maelstrom that roils above the Isle of The Dead in the centre of Ulthuan, home continent of the High Elves. 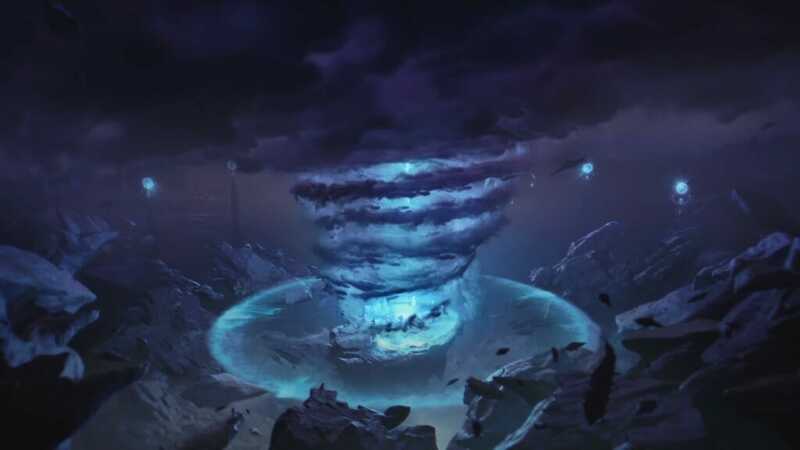 The Vortex was forged in a past age by a convocation of High Elf mages to drain the Winds of Magic from the world, and blast a huge daemonic invasion back to the Realm of Chaos from whence it came. 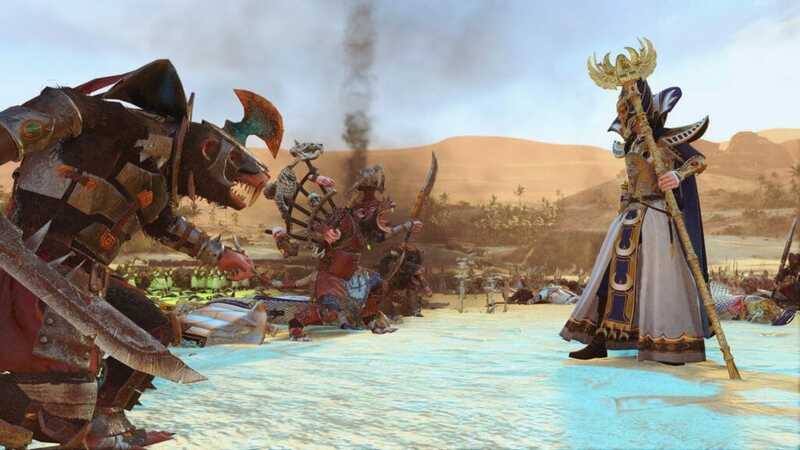 It is a prominent part of the Warhammer Fantasy Battles world, a unique feature on the Total War: WARHAMMER II campaign map, and lies at the heart of the main campaign. How is Total War: WARHAMMER II’s campaign different to the first game? As the twin-tailed comet of Sotek made its recent journey across the skies, it caused the Vortex to become dangerously unstable. Each of the four races has its own objective regarding this: some wish to heal the Great Vortex and prevent calamity. Others see opportunity in disrupting it. That said, no two races have precisely the same objectives and they’ll need to accomplish them in their own way. The campaign is therefore a race for control of the Vortex, culminating in a cataclysmic series of endgame events. This is the first TW game where the AI can beat you to the end game objective. But the race for the Vortex isn’t the be-all and end-all. You will still have to build and manage your empire, treat with and betray your allies, research techs, develop settlements, all the usual Total War good stuff, with unique race mechanics and objectives defining the specifics of your campaign. You still need to further your aims, but there will also be a greater focus on confounding or supporting the other races in theirs. How big is the Total War: WARHAMMER II campaign map? The Vortex campaign map is roughly the same physical size as in the first game, though there are approximately a third more conquerable land regions in the WH2 campaign map than in WH1. These are spread across four continents, separated by perilous seas. There’s a host of new gameplay features, some of which are tied to the specific narrative of the Vortex campaign, and some which will apply the huge combined campaign (see below). We’ll be detailing all of these over the coming months. Do I need the original game to play Total War: WARHAMMER II? No, you don’t need the first game in the trilogy in order to play WARHAMMER II. However, if you do own the first game as well as the WARHAMMER II, you’ll also be able to choose to play on a huge new combined campaign map (see below). So owners of both games will have three large and different campaign maps to choose from. What do I get if I own both WARHAMMER I and WARHAMMER II? If you own both games you get 3 huge campaign maps; the original one featuring the Old World, a new one featuring the New World and the Vortex, and a Combined Campaign map featuring both of those areas joined together. If you own any DLC or Free-LC for WARHAMMER I (like the Chaos Warriors, Wood Elves and Beastmen, or Lord Packs) you’ll also still have access to their unique narrative campaigns of course, and will be able to play as those races in both the Old World campaign and the new Combined Campaign. What’s going on with the mega combined campaign you talked about before? Why won’t the Combined Campaign be available right at launch? The Vortex campaign, with its dedicated narrative, unique features, mechanics and flavour, is a big project in its own right. The Combined Campaign will be truly vast. Each requires significant playtesting and balancing. This being the most complex Total War campaign we will have released to date, we’d like to plan have a short period of open beta testing just before we release it, this requires WARHAMMER II to be out and for players to be familiar with all the new races and features. How will the third game add to this? We will let you know in due course. Only in autoresolve. Warhammer Fantasy Battles is principally a game about land warfare, so that’s where we’re choosing to focus our efforts in terms of full battle simulation. There are some new sea-related campaign features that we will detail in the future. What are your plans for multiplayer? 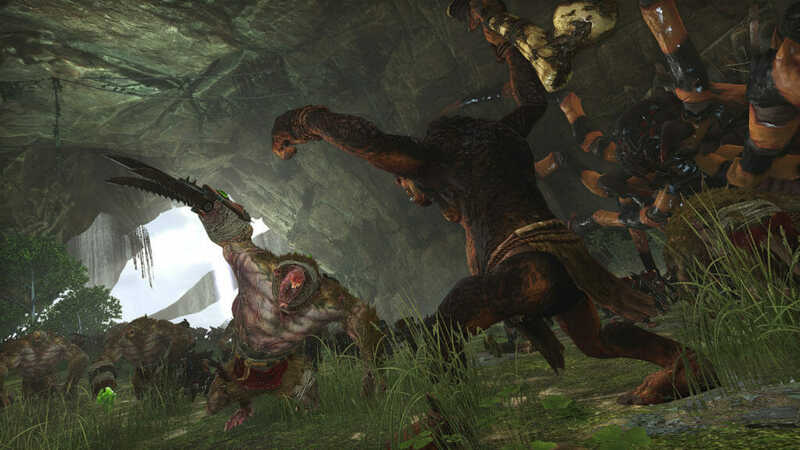 Each of the races in TWWH II will be playable in single and MP campaign, plus custom and MP battles. As the two Legendary Lords for each race all have their own unique campaign start positions, you’ll be able to play a 2-player co-op campaign the same race. If you own both parts 1 and 2, you’ll be able to play in multiplayer as any of the races you own. We’ll announce any news around these in due course. Later in 2017. We’ll announce a firm release date in due course. Plans for Mac & Linux versions will be announced later in the year.